On this episode we talk with Jennifer Juguilon-Hottle. She is a Certified Profit First Professional who is focused on the gaming industry. She explained how networking is an extraordinarily powerful way to build your business. It’s not networking in the traditional sense, as you’ll find out Mike thinks, it’s leveraging new media and social media and tying it back to traditional networking which is the key to success. Welcome to episode 183 of the Grow My Accounting Practice. 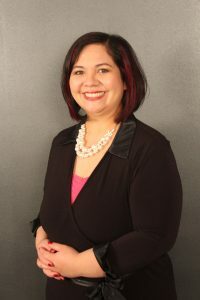 Jennifer Juguilon-Hottle is the President and CEO of J2H Consulting Group, a business coaching and mentoring services company. She is expertly trained in the numerous business methods and strategies including those of Profit First Professionals. Jennifer and her team at J2H Consulting Group offer their experience and expertise to assist businesses in achieving growth and maximizing profits. We want to put the joy back into your business. Jennifer is a graduate of Ohio State University with a degree in Accounting and an MBA in Healthcare Administration from Cleveland State University. She has been successful in launching several thriving businesses in media and in medical industries. In media, Jennifer earned production credits in short films and promotional videos. In the medical industry, she has more than 18 years experience in bookkeeping, human resource management, HIPAA/OSHA compliance programs and strategic development. Jennifer is passionate and determined about assisting entrepreneurs towards maximizing profitability. She accomplishes this through engaging in one-on-one consultations with clients, providing helpful educational tools and resources, and advising clients with effective and sustainable cash flow management using the Profit First System.